These are some of the cute little faces that have been across the fence for a while. They totally threw my observations about cows out the window! While their full grown counter-parts do not eat calendulas and spurge among a few other things, these little ones mowed them down like they were candy! My new theory is that they are like human babies that eat anything the can find until they start to decide what they really like. Hey, it's a theory. I love little calves! Those big brown eyes are so soulful. Thanks for the pictures. These calves look gorgeous. I am sure they try anything, just like small human babies do. Those are some sweet faces! 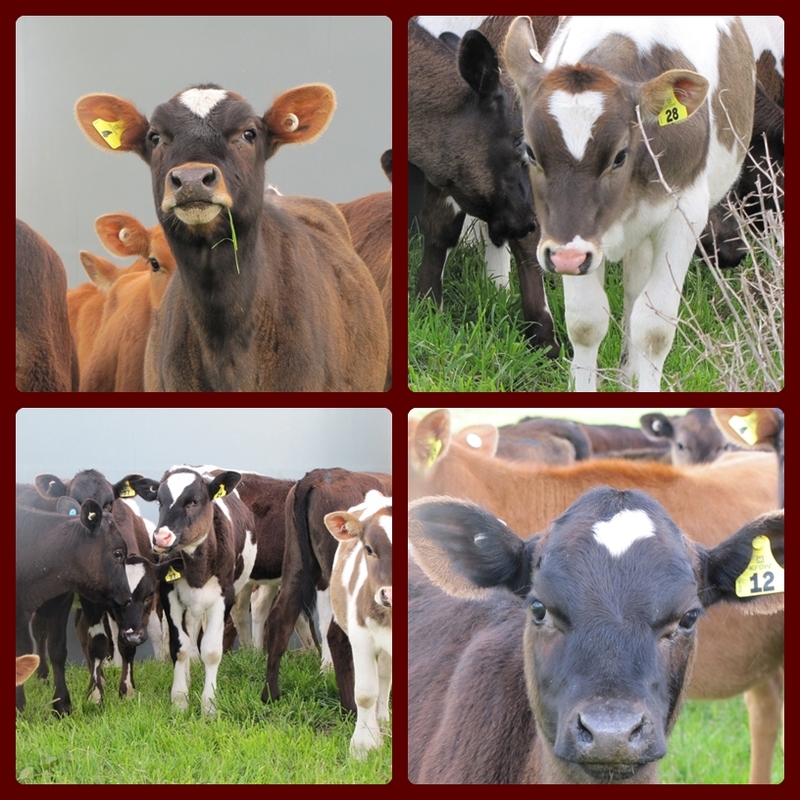 Beautiful pictures of the calves, I am melting away they always look so cute. Originating from a farm I know about calves, as little children we made chaines of daisies to hang around their neck. I will be your new follower. Do the calves eat buttercups too? I was told it make cows very sick if they eat them. they do have sweet little faces, don't they! Dont they have lovely faces! That can only be the white. Beautifully situated - what a great area!